How can Eleven Warriors – one of the most trafficked, influential and highly-regarded sites in the entire American sports blogosphere – fulfill its mission for free, best-in-class content? Welcome to the 12th Warrior, where everybody eats. 12W is a selfless perks program for readers who have a little extra money to help accomplish the opposite of the paywall system: It is designed to upgrade and enhance Eleven Warriors for everybody, whether they're in 12W or not. This is about paying forward for readers who can't. Exclusive Experiences and Added Value Opportunities <--- right out of Dave Brandon's marketing playbook. In our world, this means events, bangers, and other things we can do to get together and reward members for paying forward. Access to the Premium Lounge. Yes, this is a real thing. The pride of knowing you've paid forward and helped make Eleven Warriors the highest-quality destination for Buckeye enthusiasts and antagonists while keeping it free for thousands of people who may never know or be able to personally thank you. 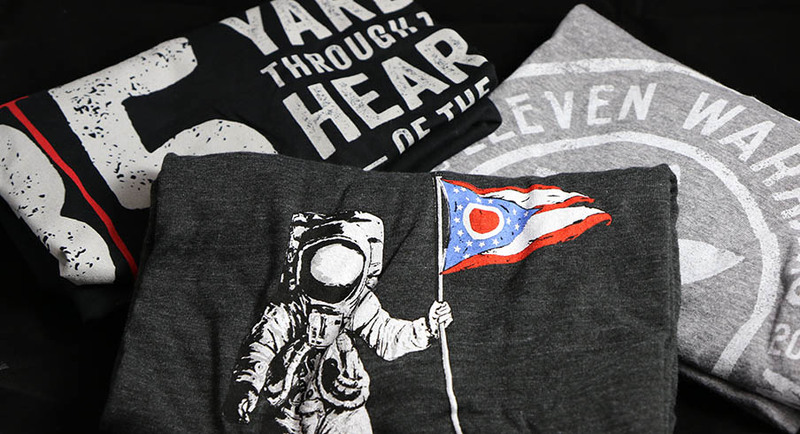 Last, but not least, a coupon for $40 off any purchase from Eleven Warriors Dry Goods. Have your eye on a t-shirt? Get that. A hat? It's yours. Some stickers, a flask and some other things? No problem. So what are the perks for those who don't or can't join 12W? Respect, dignity and a warm welcome. All the same premium content Eleven Warriors has to offer. Expanded coverage you can thank 12W for delivering to 11W, e.g. more of our people on-site at things like the US Army Game, Under Armour Game, The Opening and the events you want to see and read about from Eleven Warriors writers and photographers. Stronger server capacity for a popular site that gets millions of visits in the dead of the offseason. Sound good? You might have some questions. We have answers. HOW MUCH DOES 12W COST? 12th Warrior runs $85 a year. This price was derived from a top secret financial algorithm developed for us by Goldman-Sachs repeatedly watching Ezekiel Elliot rip Alabama's heart out. That's 23 cents a day for a site that produces 5-20 new articles daily, comprehensive Ohio State coverage, reasoned sports takes and a vibrant community. If you earn $30,000 a year at your job, your salary covers 12W in less than a minute every morning. DOES 12W HAVE ANYTHING TO DO WITH THE ELEVEN DUBGATE? The Eleven Dubgate is a charity event. We reserve the right to hold 12W events during the same timeframe as the Dubgate, but 12W and the Dubgate are totally separate. 12W candidates must have an 11W account and cannot have a negative helmet sticker balance. That means lurkers with zero helmet stickers can still join. Trolls, troublemakers and accounts not in good standing: we cannot accept your money. Sorry. WAIT, LURKERS DON'T HAVE ENOUGH HELMET STICKERS TO CREATE FORUM TOPICS. SO CAN 12W LURKERS CREATE FORUM TOPICS IN THE PREMIUM LOUNGE? No, they can't. The helmet sticker threshold for creating topics applies to everyone. I'M NOT A BUCKEYE FAN BUT I WANT TO SUPPORT THE SITE. CAN I JOIN 12W? Sure, as long as your 11W account is in good standing. THIS SOUNDS GREAT. WHAT IF I WANT TO RENEW AFTER A YEAR? No problem, friend. Your account is set up to automatically renew after one year. Don't want to renew? No problem. Simply change the setting on your account page. There's no phone number to call or email to send. WHAT ABOUT REFUNDS, FREE TRIAL PERIODS, DISCOUNTS, ETC? All sales are final. There will never be a free 12W trial period and there will never be a discount code. This is a pay-what-you-want web site, as long as what you want to pay is $85 or $0. We think that's simpler. CAN MY 12W MEMBERSHIP BE TERMINATED WITHOUT NOTICE OR REFUND? No. You would get a friendly warning and possibly a second and third chance. There's nothing we hate more than jailing posters. Terminating 12W accounts sounds worse. We hope that never happens but this site will not get tribal, nor will 12W entitle anyone to sidestep commenting policy or demonstrate abusive behavior. A $40 voucher to Eleven Warriors Dry Goods. Access to purchase new products before they're released into the wild. Exclusive experiences and 12th Warrior-only events. Access to the Premium Lounge. The pride of knowing you've paid forward and helped make Eleven Warriors the internet's premier destination covering Ohio State athletics.